On Thursday, January 18, 2018, N24 rebranded as WELT (German for world). 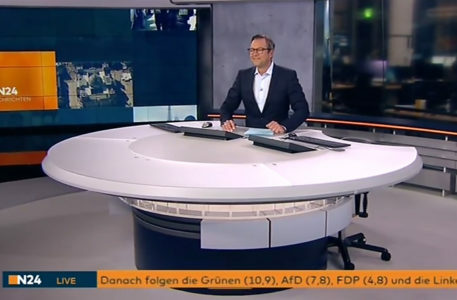 As part of the update, the network refreshed its primary studio in Berlin. 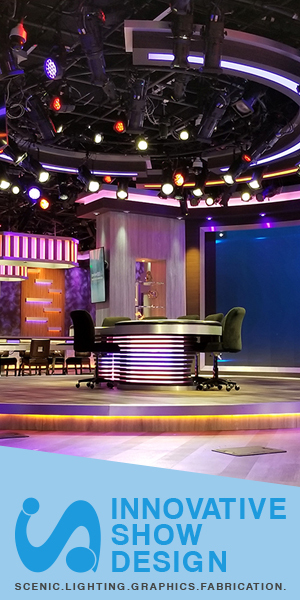 The updated studio design is based on lofts with a “classic moderation table with a purely frontal presentation,” making exchanges between hosts and guests more natural and the overall space more flexible on-air. The main video wall was also expanded to a 7×4 array.